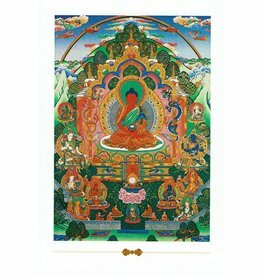 Postcard "Ushnisha Vijaya" also known as Namgyelma. 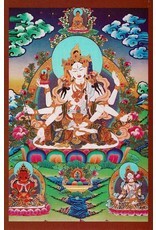 This Tibetan Thanka Treasure card shows this goddess with eight arms and three faces. 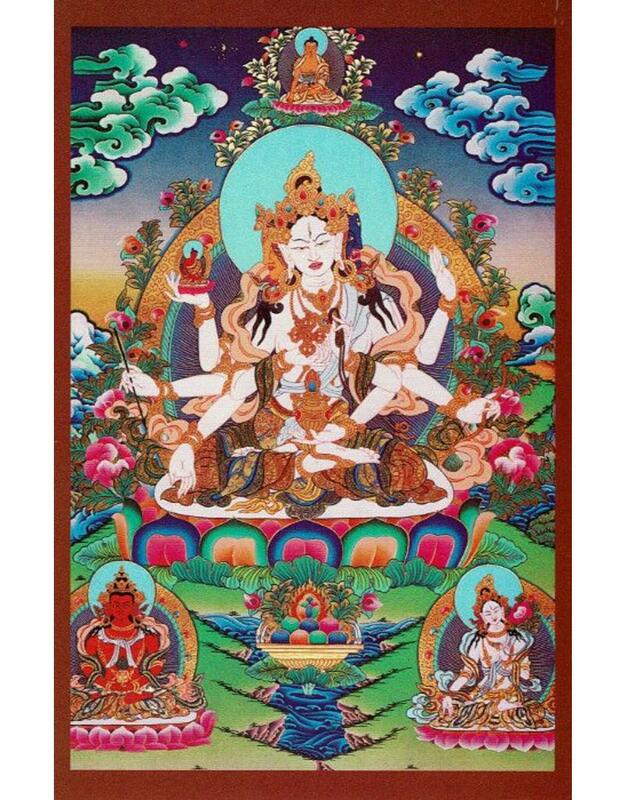 "Vijaya (Namgyelma): The three faced, eight-armed goddess & longevity seated in a lotus posture on a lotus throne."